Using location-based data to connect with consumers is one of the hottest trends in brand communication, but all too often, print and marketing service providers don’t leverage that data because they think it is too complex or time-consuming. In reality, using geomarketing is an easy—and important—step for marketers to take before launching any direct-mail campaign. locr GEOservices ensures your direct mail campaign reaches the right prospects in the right locations. GEOservices lets you refine your list so that you target only the prospects in the exact geographic area you want to reach. Moreover, GEOservices will let you know if an address is not valid. Cleaning your list in this way doesn’t just save money on postage and printing—it also can help to boost your response rate. Learn more about how GEOservices can save you time and money on your next direct mail campaign. 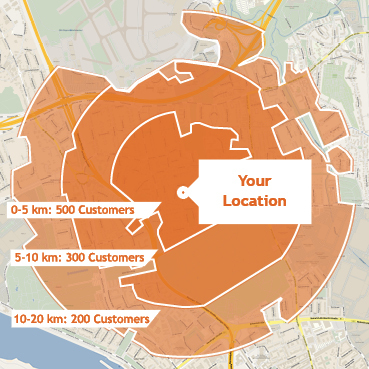 Want to learn more about the value of location-based marketing?